Intelligent Pilates runs a series of classes to suit a broad range of needs and ages, from complete beginners to the advanced. 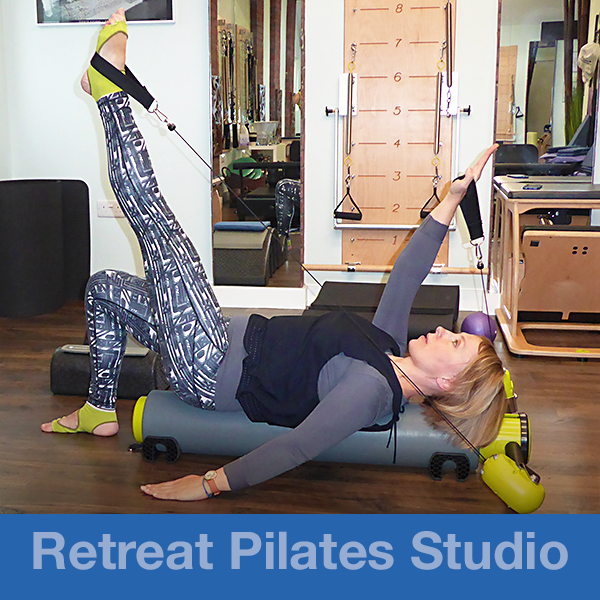 Our Pilates classes are held at the Retreat Studio in St Albans. This session is important whether you are a complete beginner or experienced in Pilates. It allows your teacher to assess how your body moves, build an understanding of your health and exercise history and to get to know you. We do ask that all new clients attend a three week induction class where you will learn about the eight principles of Pilates before joining our group studio classes. These classes are recommend to newbies as a first introduction to Pilates. You will practice simple exercises at a gentle pace. This is a general Pilates class which requires a reasonable level of experience and fitness. Ideal for clients who prefer to work exclusively with their Pilates teacher on a one-to-one basis. These classes will give greater progression and variation from session to session. Private classes are also highly recommended for clients who are recovering from injuries or suffering from any physical conditions. These classes allow two/three clients with the same level of ability to share one teacher and enjoy their workout together. Our equipment circuit programme offers you an intensive complete body workout, which is as much about technique as it is about body strength and stamina as you work through different levels of resistance. Functional Sequential Balance Training with the Oov. From stretching to core strengthening to rehabilitation, the Oov offers many benefits. Made from highly durable foam, the Oov‘s design complements the spines‘ natural curves. The Oov effectively activates the core stabilising muscles whilst you exercise. It provides an environment that enables you to identify where instability and restriction exist in the body, and helps you to develop strategies to create stability and central movement. More Than a Roller – These classes combine the balance and release of a foam roller with strength challenges of a variable resistance pulley system. The perfect tool to improve cardio conditioning and agility. The main focus of the ‘Healthy Backs’ programme is to help people to self-manage their non-specific low back pain and keep themselves active. All of our classes are delivered by a properly trained exercise professional, and our dedicated Healthy Backs 60+ programme is perfect for our older clients. ﻿Our ‘Pilates for Fitness’ programme is a vital tool for those who are keen to maximise their fitness and personal performance. Pilates for Fitness – good for golfers, runners, swimmers, tennis players, horse riders, for all those who love sports, or wish to challenge themselves further. These classes focus on delivering effective, safe and challenging exercises for pregnant women and new mums. The BCP Method helps women to stay healthy and comfortable with their bodies through pregnancy, and also prepares them for birth itself and the demands of early motherhood. Designed especially for new mums. This gentle workout allows you to exercise alongside your baby. Babies from five weeks up to nine months are invited to lay next to mum during the session. Our Mind & Body Class is suitable for all levels. Release tension in over-tightened muscles, alleviate aches and pains; reclaim your body and move more freely! ​Please call Olya on 07814 348 656 to arrange your initial consultation.